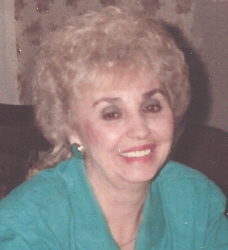 Barbara Louise Brock 81 of Mt. Gilead died Tuesday Morning, January 22, 2019 at her home. Barbara was born February 26, 1937 in Stanly County to the late Lonnie and Anna Harris Brock. She was a member of Silver Road Baptist Church in Oakboro. She worked in textiles and lawn care but enjoyed being a homemaker. She was known mostly as a musician with her bluegrass and gospel band “The Pine Ridge Tradition”, this was truly her passion. Barbara was preceded in death by her husband John O. Richardson and her children, Michael and Sheila Richardson, and her granddaughter, Kim Kemp. She is survived by her grandchildren, Michelle Presnell and husband Randy. Tammy Kimrey and husband Billy, Tanica Vega, Nicki Cross and husband Jason and Jamie Richardson and wife Kayla. Nineteen Great-Grandchildren and Eleven Great-Great Grandchildren. Barbara will be remembered as a great and loving wife, mother and Maw Maw. She has gone home to be with the Lord, playing music in the Lord’s Band!